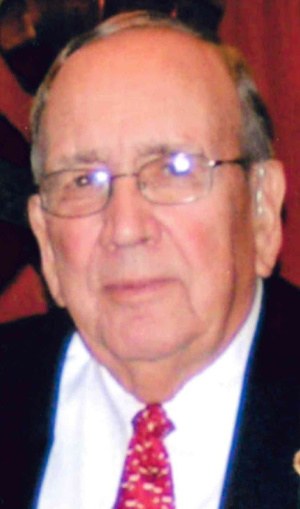 Donald L. Burkholder, 86, of Lancaster passed away on Tuesday, April 9th. at Homestead Village. Donald was born in Lancaster on February 7, 1933. He was the son of the late Lester and Violet Burkholder. He was the husband of the late Phyllis B. Burkholder with whom he celebrated 57 years of marriage. Donald was a graduate of Manheim Township High School and received his degree in Finance from Lebanon Valley College in Annville, PA. He spent his career in Banking and Finance at Fulton Bank and Engle Hambright & Davies in Lancaster. He was a member of Church of the Apostles U.C.C. in Rohrerstown, PA. Donald was active in his community serving in leadership positions for the Lancaster Jaycees, Lancaster Northeast Rotary, Lancaster YMCA, Lancaster Boys and Girls Club, the Hamilton Club of Lancaster and a member of the Lancaster Pirates. Donald is survived by his son David, husband of Darcy Burkholder of Hanover, MD; a grandson James of Annapolis, MD; and two sisters, Jean Gromoll of Lancaster; and Betsy, wife of David Enck of Lancaster. A memorial service will be held at Church of the Apostles United Church of Christ, 1850 Marietta Ave., Lancaster, PA 17603, on Saturday, April 20, 2019 at 2 p.m.. The family will greet friends at the church on Saturday after the service. A private interment will be held at the convenience of the family. In lieu of flowers, contributions in Donald’s memory may be sent to Church of the Apostles UCC (at the above address) or Homestead Village, 1800 Village Circle, Lancaster, PA 17603. Prayers and fond memories are what we have to remember our dearly departed. May the love of family and friends comfort you during these difficult days, our most heartfelt condolences. I have fond memories from time spent on the New Jersey shore. It has been many years since then but I still remember his towering yet gentle presence. May he rest in peace!